My friends and colleagues find it bizarre that I can eat curry mee for lunch three days in a row, without getting sick of it. Whether it’s curry mee from KL, Ipoh or Penang, I love them all. While the curry mee from the latter two states are more sought after, KL curry mee can be really tasty, if you find the right one. rif brought me for lunch at Restoran 168 in Pudu, claiming the curry mee there is really good. He tried it with a friend during a work lunch and insisted I should try the noodles too. And a bowl of good curry mee is an offer I cannot resist. 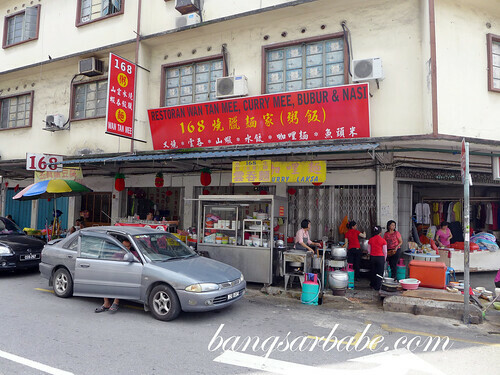 Restoran 168 occupies a small corner lot along Jalan Brunei and gets really packed during peak hours. 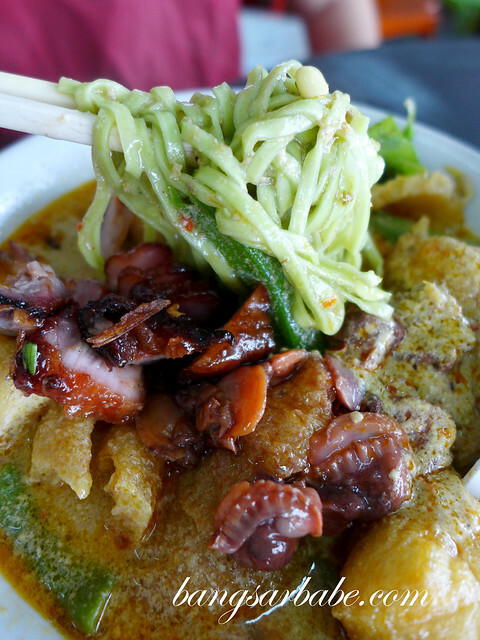 Other items such as wantan mee, clear soup noodles and rice are available, but curry mee is their specialty. Do get there before 1pm, for they run out of curry broth very fast. My medium bowl curry mee (RM5 – small, RM5.30 – medium, RM5.60 – large) was fairly large in portion. I opted for the spinach noodle, but you also have a choice of mihun, yellow mee, wantan mee and kuay teow. Also, ask for char siew to be added into your noodles; more oomph that way. 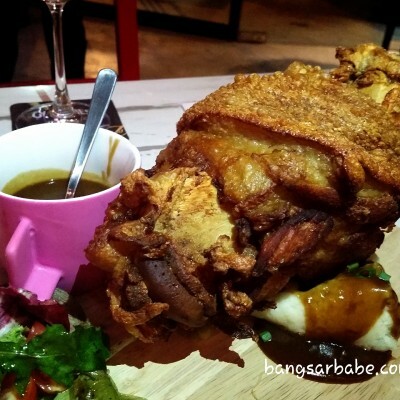 The gravy was justly thick, laden with spices and creamy from the coconut milk. 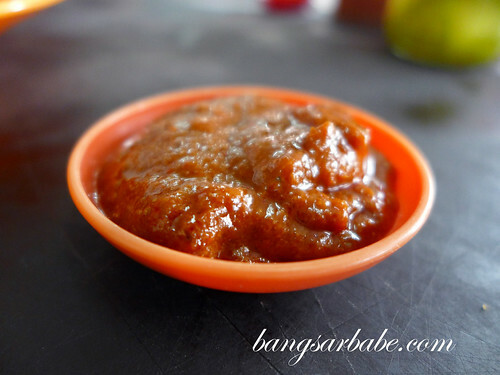 I loved how well balanced the flavours are – some places serve overly spicy or salty gravy. Also, the cockles were fresh and juicy, and my noodles came with brinjal, pig skin, fuchuk and long beans. Good stuff! I’m already thinking of going back for more. 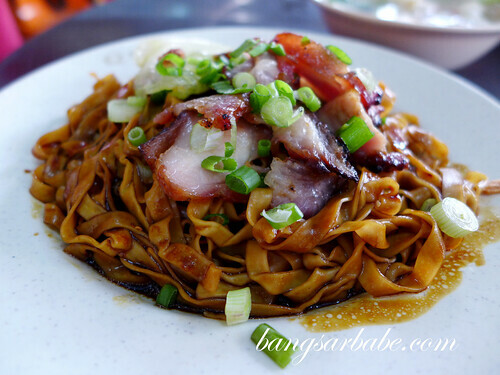 rif ordered the dry wantan mee (RM5 – small, RM5.30 – medium, RM5.60 – large), which tasted very average. 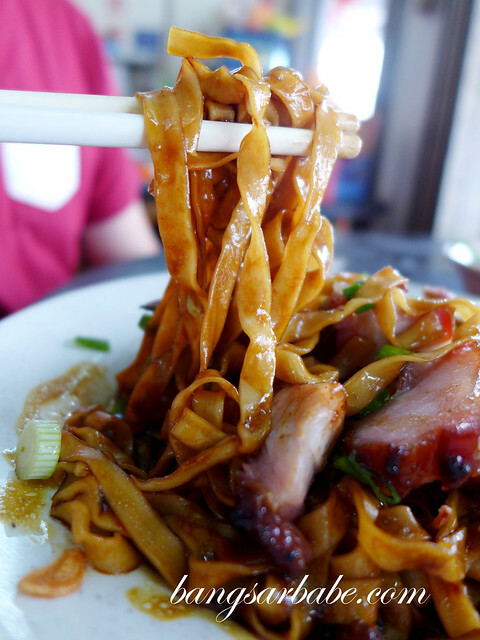 Granted the wantan and char siew were good, but the noodles tasted bland and very one-note. I wouldn’t recommend this. We ordered a bowl of sui kow soup to share, and this was also tasty. The dumplings were generously filled with prawns, minced pork and black fungus, so every mouthful was meaty and sweet from the prawns. I really enjoyed this. Our lunch came up to RM16 for all the above including one herbal drink. Pretty reasonable, considering the portion and ingredients included. I’ve tried many curry mee stalls in KL, and this one is now the best. Who’s up for a round? 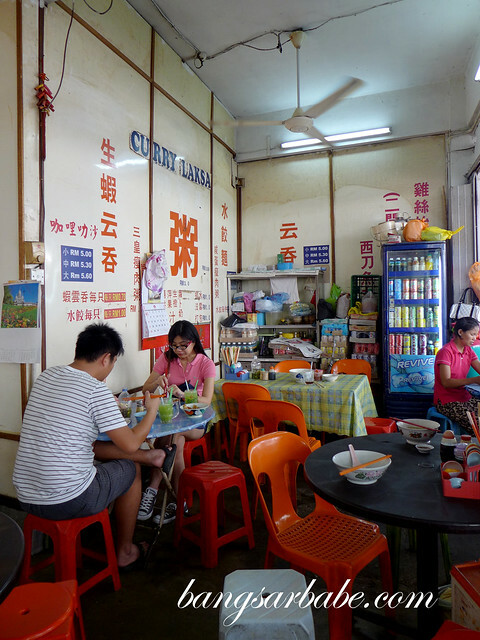 Verdict: The best curry mee in Kuala Lumpur, for now. The curry mee really looks good! Cukup lemak! Plump juicy cockles and they also added mint leaves. Wow look so tempting . Yummy . 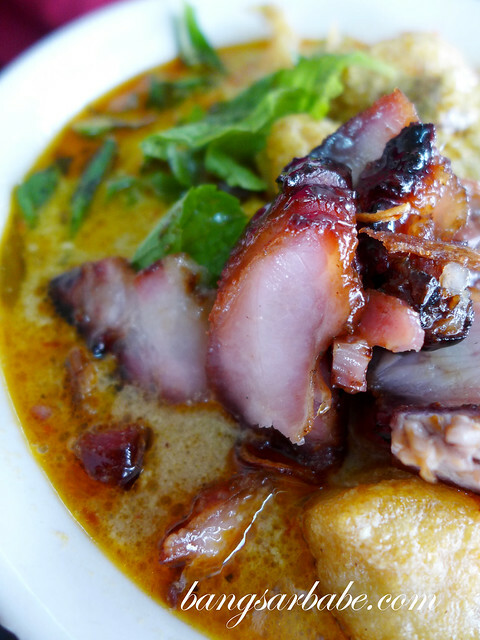 Curry mee with mint leaves is good… and cockles too, and pig skin….arhhhh…all my favourite stuff! Jom pergi! 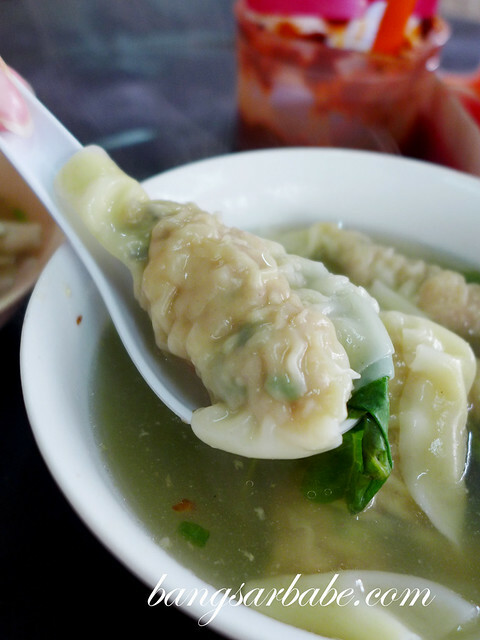 the sui kow is almost as good as the 1 we tried in Hong Kong. Glad you enjoyed the food WJ! Do you know if the curry mee 168 opens fr dinner? No it’s not. Only morning till afternoon. “No curry today”, everyone had long, sad faces like “The pub with no beer” song. And the sui kow soup didn’t look like your picture and was disappointing. Perhaps they were having an off day.